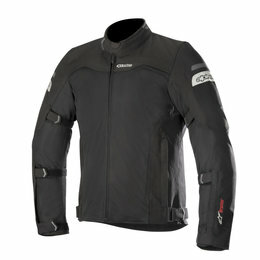 A technical off-road and Enduro riding jacket that has been developed and tested in the most grueling conditions such as the Dakar, the Venture R Jacket is highly robust and durable with reinforced stitching, a rip-stop poly-fabric main shell and plenty of convenient storage options. 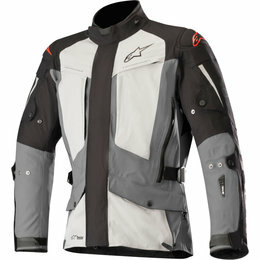 Optimized for use with Alpinestars’ Bionic Neck Support, this jacket can be adapted to suit every environment thanks to effective ventilation, generous storage provisions and removable sleeves. 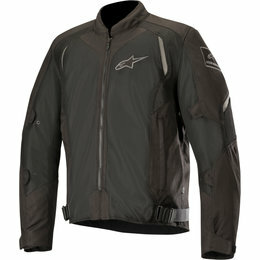 Designed specifically for the female form and using Alpinestars exclusive Drystar membrane, the Stella Andes Pro Drystar Jacket offers true versatility with 100% waterproofing and great levels of breathability, even in difficult riding conditions. 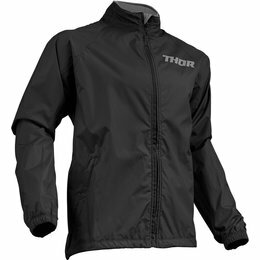 The technically advanced construction of this jacket offers protection and abrasion resistance and is adaptable to all weather conditions. 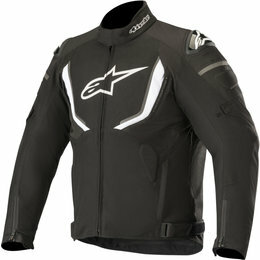 The Stella Andes Pro is also compatible with Alpinestars leading active airbag protection system, Tech-Air. 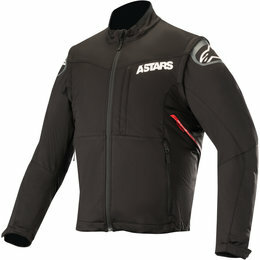 Developed specifically for women and fully compatible with Alpinestars innovative active airbag technology Tech-Air, the Stella Yaguara Drystar Jacket features a laminated membrane construction for effective waterproofing and breathability without excessive material bulk. Convenient pocket storage options, strategic reinforcements and class-leading protection, inside and out, the Stella Yaguara Jacket is fully featured for adventure touring. 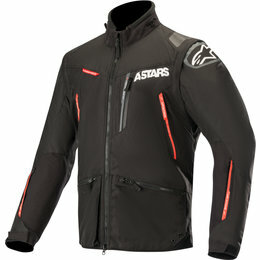 Designed using Alpinestars exclusive Drystar construction, the Andes Pro Drystar Jacket offers true versatility with 100% waterproofing and great levels of breathability, even in difficult riding conditions. The technically advanced construction of this jacket offers protection and abrasion resistance and is adaptable to all weather conditions. 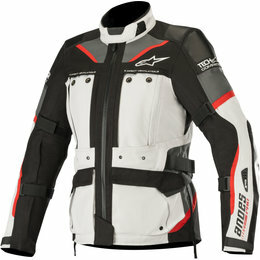 The Andes Pro is also compatible with Alpinestars leading active airbag protection system, Tech-Air. 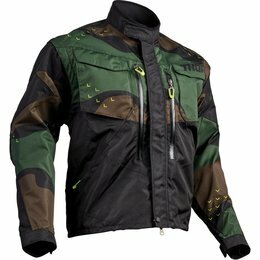 The T-GP R V2 Waterproof Jacket is a versatile sport riding jacket with class-leading protection, inside and out, which incorporates reinforced poly-fabric zones on the torso for durability and abrasion resistance. With Alpinestars waterproof membrane, zippered air vents for controlled levels of internal cooling plus a removable thermal liner, the T-GP R V2 is fully equipped to deal with a wide range of riding conditions. The Overlord Stealth speaks softly, but packs no less a punch. Stripped of its war paint, the Overlord Stealth retains its core attributes: aggressive Attack fit, refined pre-curved arm design and a full D30 impact protector package. The Overlord Stealth brings technical engineering and understated styling into one package. Mixing modern engineering with vintage soul, the MH 1000 jacket pays homage to the style of the past while delivering industry-leading riding features of today. 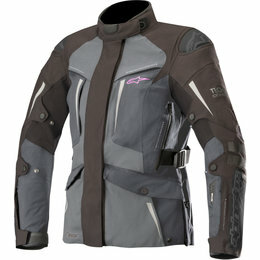 Constructed of a durable textile and leather chassis, the womens-specific Sport fit ensures a proper fit and function. YKK tactical zippers, SatinCore liner, adjustable waist straps, and dual zipper vent cuffs are premium details for motorcycle functionality. Combine this with a full D30 impact protector package (elbow, shoulder, back), and enjoy a vintage look with a modern feel. 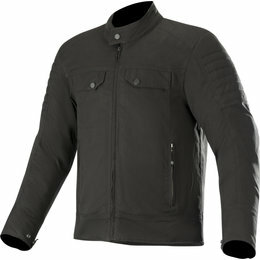 For the rider with classic tastes, the MH 1000 jacket is constructed of a durable textile and leather chassis, making it lightweight while still maintaining ruggedness. YKK tactical zippers, SatinCore liners, adjustable waist straps, and vented cuffs are premium details for motorcycle functionality. Combine this with a full D30 impact protector package (elbow, shoulder, and back), and you've got a good-looking piece - on or off the bike. 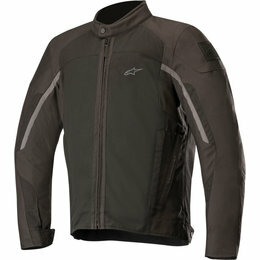 Proof that simple can be bold, the Automag 2 jacket makes a demanding sportbike statement. Comprised of a durable textile chassis with Ballistic nylon paneling impact zones, and outfitted with a full suite of D30 impact protectors (perfect for when your come-offs go southbound). 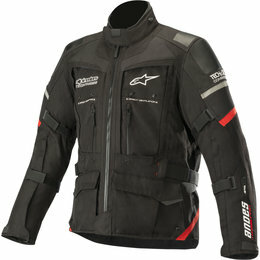 Additional rider-centric details include dual zipper vent cuffs, front and back zipper vents for enhanced airflow, arm straps to reduce wind flap, and a removable quilted full-length liner should the temperature dictate. Dip that fantastic in the larger-than-life Wild Child Overlord SB2. Colors so loud, ears are bleeding. This guaranteed head-turner features a durable textile chassis tailored with Icon's Attack fit, pre-curved arms house D30 impact protectors, while the back features a Level 1 D30 back impact protector. 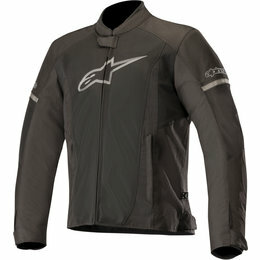 Additional rider-centric details include dual zipper vent cuffs, integrated flex zones, engineered perforations for enhanced airflow, and a removable quilted liner should the temperature dictate. Reliable riding gear meets technicolor dream coat. The art of intimidation begins with a firm handshake, unwavering eye contact , and a rad skull-rich motorcycle jacket. 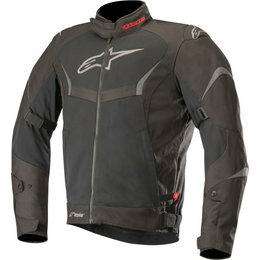 Comprised of a durable textile chassis with integrated flex zones, it is superior in fit, form, and function. Internally, the jacket is outfitted with a removable insulated SatinCore vest liner and a full complement of D30 impact protectors (elbow, shoulder, and back). The Stim is the art, you bring the intimidation. Join the reconnaissance squad of Icon's Exploratory Division in the Merc Battlescar. Durable nylon paneling, a full suite of D30 impact protectors, and the relaxed fit are what's needed for an active operator working in uncharted territory. Comfort is key to providing ultimate protection. The Merc's hood, oversized kangaroo pockets, pit zips, and Sportcuff prove that you don't have to sacrifice comfort for defense.